Our greeters share their knowledge with new residents, visiting and inviting them to enjoy local attractions. They bring gifts and congratulations from business and professional leaders. 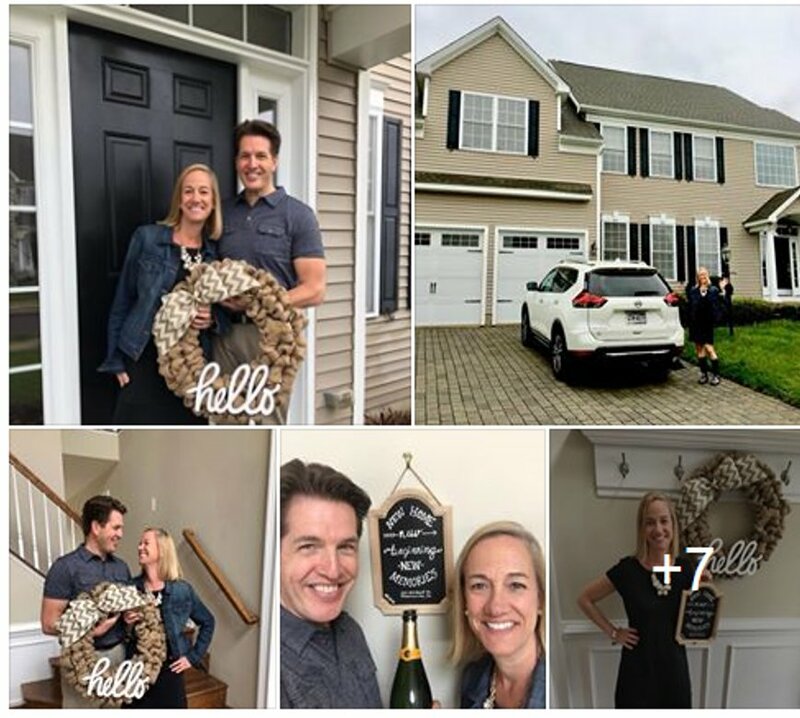 We’re Welcome Neighbor… the Brandywine Valley’s Premiere New Homeowner welcoming service! We market to new homeowners… what do we "market" to new homeowners? A personal welcome from one of our greeters visiting right in their new home with a basket full of information about their new community and gifts from local business owners. The Welcome Neighbor personal welcome visit carries on the great old tradition of the welcome wagon started when newcomers moved into a new home. The welcome wagon would come right to their new home and a greeter would personally welcome them, inform them about their new town & introduce local businesses---delivering gifts from each. So, Welcome Neighbor markets to new homeowners…But what we “market” to new homeowners is good will, a hearty welcome, great places to enjoy around their new home and great house-warming gifts from the best local businesses and professionals we have chosen and present with the Welcome Neighbor “Seal of Approval”! If you’re a new resident, new parent, new citizen or newly engaged couple looking for help in learning about your community and receiving some great gifts, Please CLICK HERE and contact us to request a visit from your local representative. Welcome to your new home! We are delivering small gifts, gift cards and community information for you to enjoy. We provide these gifts to all new residents. Thank You! مرحبا بكم وادي Brandywine! أننا هي تقديم الهدايا الصغيرة وبطاقات الهدايا ومجتمع المعلومات لتتمكن من التمتع. نحن نقدم هذه الهدايا لجميع المقيمين الجدد. شكرا! Velkommen til Brandywine Valley! Vi leverer små gaver, gavekort og Fællesskabet oplysninger for dig at nyde. Vi leverer disse gaver til alle nye beboere. Tak! Bienvenue à la vallée de Brandywine ! Nous livrons des petits cadeaux, cartes-cadeaux et information de la communauté pour votre plaisir. Nous fournissons ces cadeaux à tous les nouveaux résidents. Merci ! Willkommen bei Brandywine Valley! Wir liefern kleine Geschenke, Geschenk-Karten und Gemeinschaftsinformationen für Sie zu genießen. Wir bieten diese Geschenke für alle neuen Bewohner. Danke! ברוכים הבאים אל העמק ברנדיוויין! אנחנו מעבירים מתנות קטנות, כרטיסי מתנה ומידע הקהילה להנאתכם. אנו מספקים את המתנות האלה כל תושבים חדשים. תודה! आपका स्वागत है अपने नए घर के लिए! हम छोटे उपहार, उपहार कार्ड और आप के लिए सामुदायिक जानकारी देने के लिए आनंद ले रहे हैं. हम सभी नए निवासियों के लिए इन उपहारों प्रदान करते हैं. धन्यवाद! Benvenuti nella valle di Brandywine! Stiamo offrendo piccoli regali, carte regalo e informazioni dalla community per farvi godere. Forniamo questi doni a tutti i nuovi residenti. Grazie! Добро пожаловать Brandywine Valley! Мы поставляем небольшие подарки, подарочные карты и информационное сообщество для вас наслаждаться. Мы предоставляем эти подарки для всех новых жителей. Спасибо! ¡Bienvenido al valle de Brandywine. Estamos entregando regalitos, tarjetas de regalo e información de la comunidad para que pueda disfrutar. Ofrecemos estos dones a todos los nuevos residentes. ¡Gracias!